The Division of Language & Communication Science is pleased to host a talk from renowned speaker Professor Mary Boyle. Professory Mary Boyle joins City, University of London as part of an LCS research project and has kindly accepted our invitation to provide insight into Semantic Feature Analysis Treatment. Word retrieval impairment is a pervasive and frustrating problem for people with aphasia. Semantic Feature Analysis (SFA) treatment, which aims to improve the word retrieval process in single words and discourse, has been replicated in different languages and by different research teams around the world. This workshop reviews the theory behind the treatment, which aims to improve word retrieval by guiding people with aphasia in repeated activation of semantic features of target words. Current theories postulate that this is an early stage of the successful word retrieval process in neurologically healthy individuals. The treatment protocols used at the single word and discourse levels are reviewed using videotapes showing people with aphasia participating in SFA to demonstrate the methods. Discussion includes the ways in which the research methods have been adapted in non-research clinical settings. Evidence supporting clinical use of SFA in single words is reviewed. Data from a project that applied SFA in a narrative discourse treatment context with three individuals with aphasia will be shared. Its outcomes showed that SFA treatment in a discourse context was associated with improved noun production in discourses as well as improved informativeness, relevance, and complete utterance production. Challenges of working in a narrative discourse context are included in the discussion. 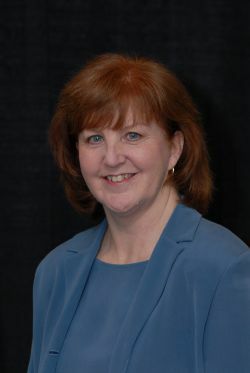 Mary Boyle is a professor in Communication Sciences & Disorders at Montclair State University, a Fellow of the American Speech-Language-Hearing Association, and Board Certified by the Academy of Neurologic Communication Disorders and Sciences. She earned her bachelor's degree in Communication Sciences & Disorders from the University of Massachusetts at Amherst, and an M.A. and Ph.D. from Northwestern University. Her clinical and research interests focus on the treatment of adults with neurogenic communication disorders, particularly aphasia. She has worked with this population for 30 years in medical, home-health care, and university settings. The focus of her current research is on word retrieval difficulties caused by aphasia. She is testing and refining a treatment to improve word retrieval impairments during discourse activities, and exploring the social validity of measures of word retrieval in the discourse of adults with and without neurological impairment.